Bushiroad has announced the return of its organized play in-store promotional Spring Fest for its Cardfight!! 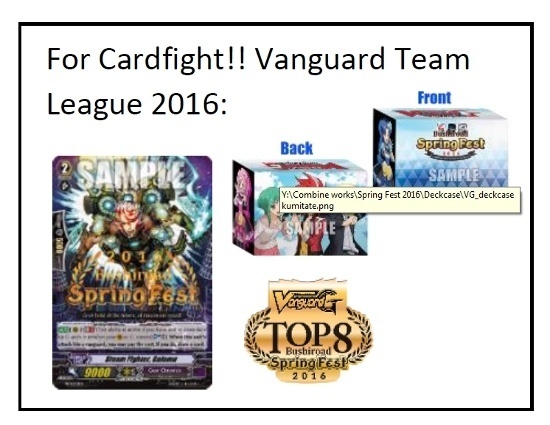 Vanguard, Weiss Schwarz, and Future Card Buddyfight TCGs. 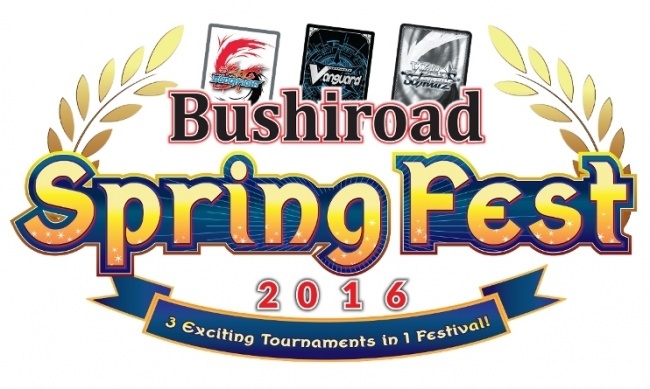 Bushiroad Spring Fest 2016 will be held from February to July at various locations throughout the world. 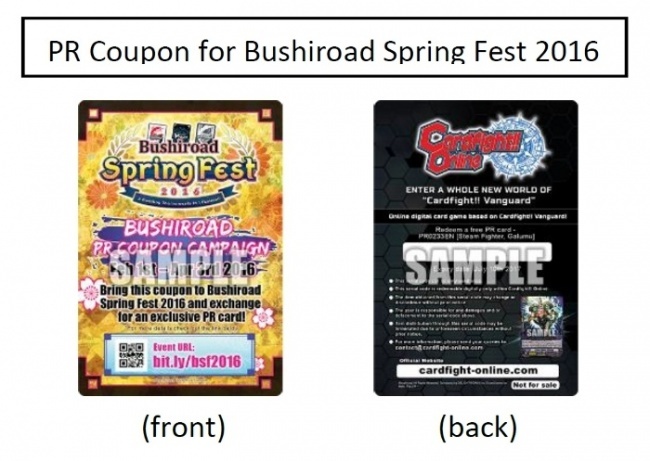 The Spring Fest events will launch with the PR Coupon Campaign in official Bushiroad tournament shops. Players participating in any official CFV, WS, or Buddyfight shop tournaments between February 1 and April 3 will receive a PR coupon which they can redeemed for exclusive PR cards at the Springfest 2016 tournaments. The Cardfight!! 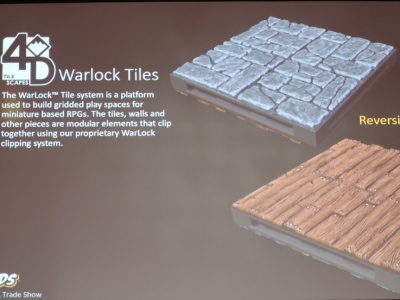 Vanguard Team League tournament series will see players form teams of three to compete against other teams. 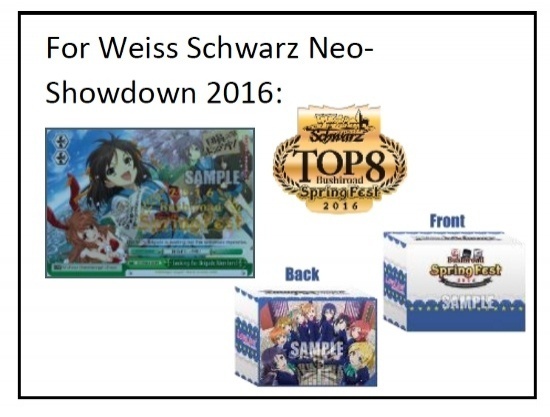 The Weiss Schwarz Neo-Showdown tournament and the Future Card Buddyfight Buddy Challenge tournament will also take place at the 23 locations throughout the world (6 in the United States). New Continental finals have been added to Asia-Oceania and European region, in addition to the North American Continental Finals. Participating players in each tournament may receive an event exclusive hot-stamped promotional card and a special deck case. 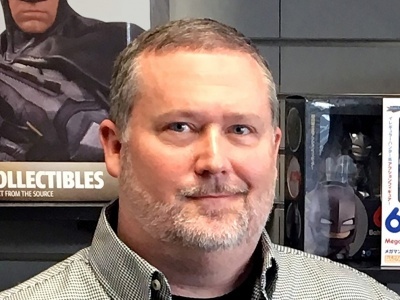 The top eight teams and players will each receive a limited-edition pin as a reward, and the top four teams and players will receive certificates. 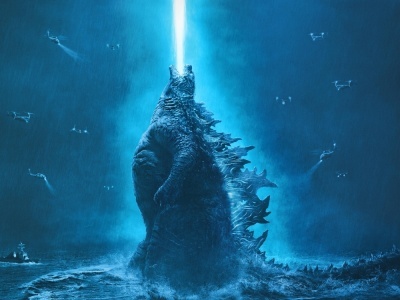 Free fight events for all three TCGs will be conducted concurrently at the festival, and participants may receive exclusive promo cards for participating after completing a number of rounds. 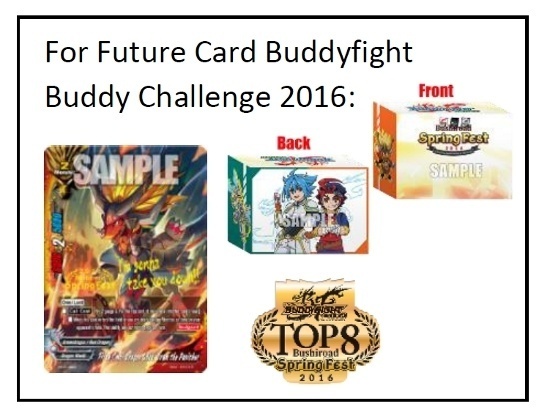 A Future Card Buddyfight Junior Challenge will also be held as a side event for players below a certain age.